Whoa! 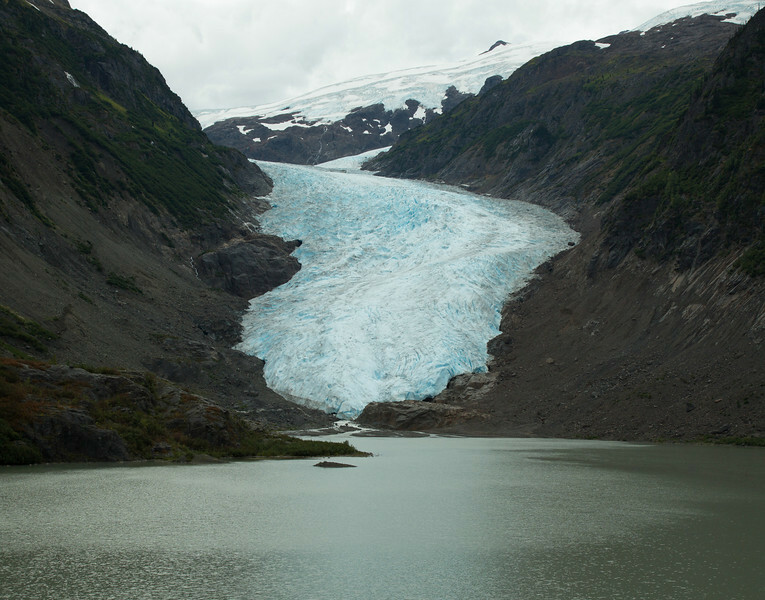 Alaska is one big beautiful, adventure-filled state. With more than its fair share of natural beauty and wildlife, this state and the neighboring areas of British Columbia and the Yukon Territory make for an ambitious, but remarkable road trip. Between the rugged roads, small towns and beautiful landscape, our Alaska Highway road trip was an unforgettable travel experience. 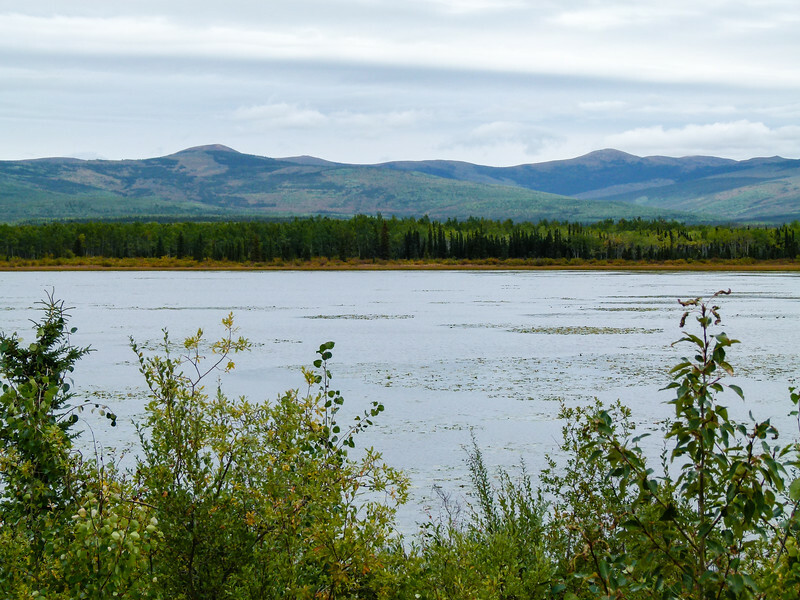 For anyone thinking about taking an Alaska Highway road trip, read our articles (there are more coming) and take a look at our four-week journey (referred to as #YukonHo! on social media) to assist you in planning your next boomer travel adventure! Some of the links in this article are referral links and are included for your convenience. However My Itchy Travel Feet receives a small percentage of the sale at no additional cost to you. The route began from our home base near Missoula, Montana, but we counted Port Hardy on Vancouver Island as the real beginning of YukonHo! 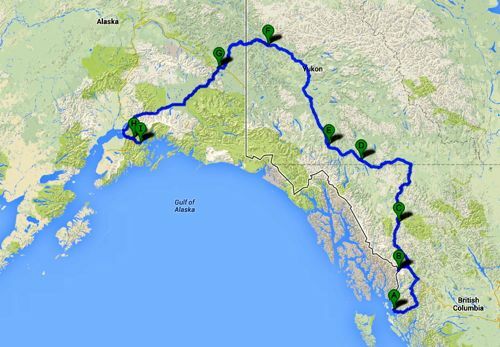 Click on: Alaskan Highway Itinerary to read more about our experience. 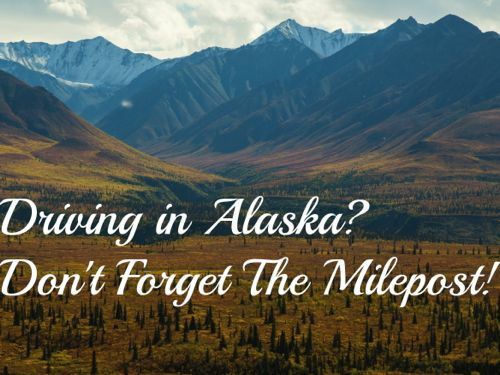 For anyone that is thinking about traveling the roads in Alaska, British Columbia or the Yukon, a copy of the Milepost is essential. Click on: The Milepost: Your Companion For North Country Travel to read our review. 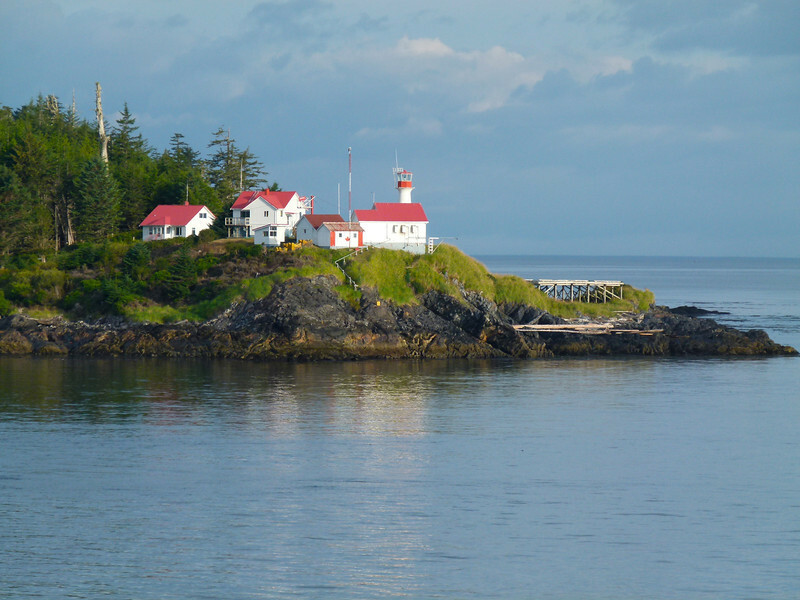 For Alaska Highway roadtrippers looking for a bit of a change from the usual routes, consider starting your trip on the water by taking the Prince Rupert Ferry from Port Hardy to Prince Rupert. Click on: Riding the Prince Rupert Ferry to read our review. If you’re looking for Alaska travel advice, start at our Alaska Travel Resources page for the online sources, books, guides and products that we use and recommend. Looking for a place to stay? Start your hotel search with us. 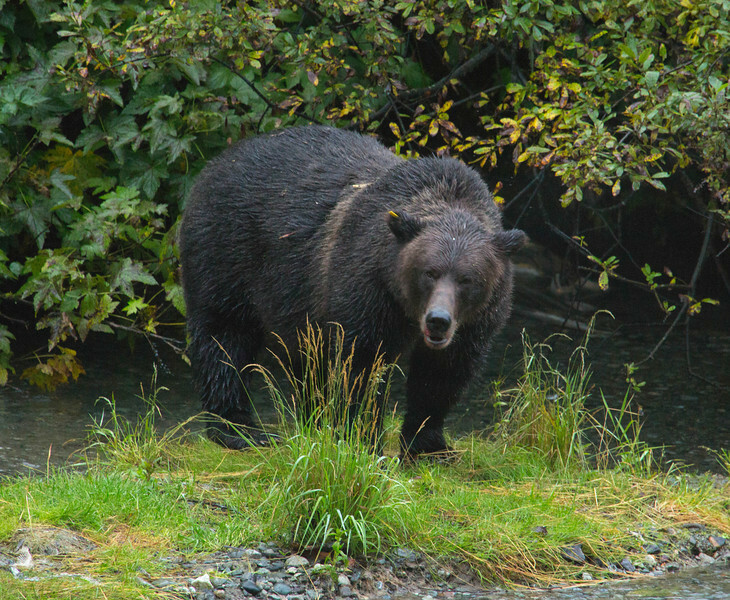 Anyone looking for a good bear-spotting area in Alaska should make their way to at Fish Creek in Hyder, Alaska from July to early September. This is salmon spawning season and a strategic platform lets you watch the bears stalk their daily meals. Click on: Watching for Bears at Fish Creek to read more about our experience. 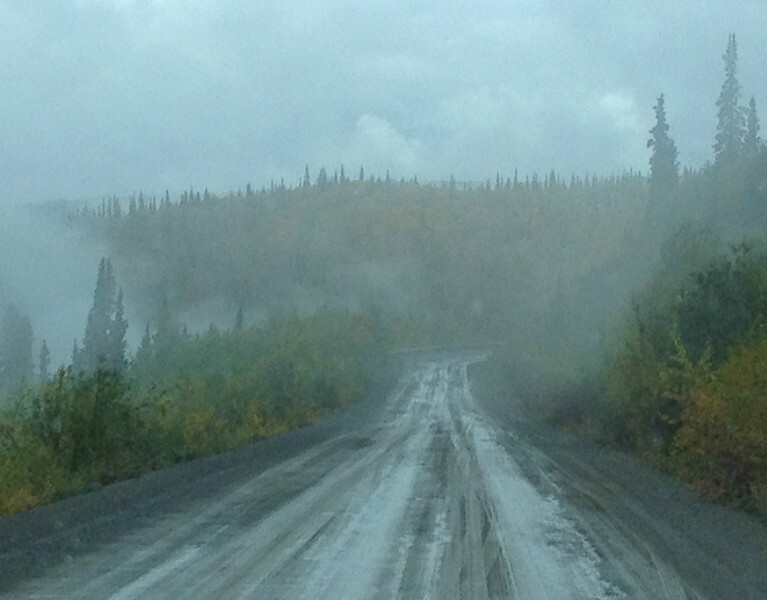 On a misty, September morning, our Ram truck climbs Yukon Highway 9—also called Top of the World Highway—after crossing the Yukon River on the George Black Ferry out of Dawson City. Click on: Driving on Top of the World to read more about our experience. 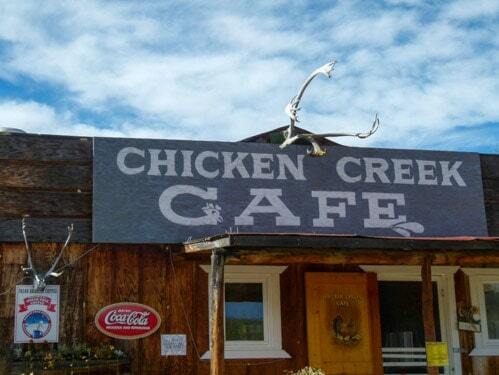 Traveling down Alaska’s Top of the World highway, between Taylor Highway and 40 Mile Valley, you’ll discover the community of Chicken, the ONLY place to stop. 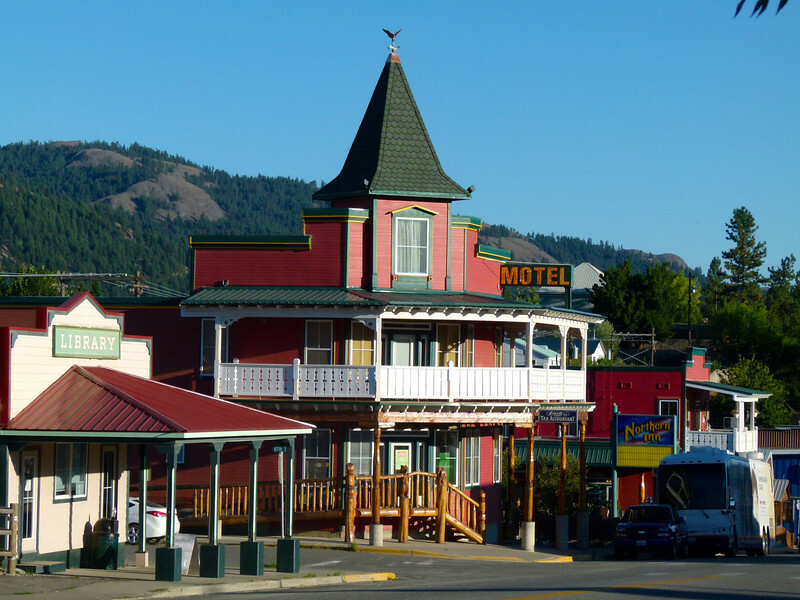 Luckily, there are several business that do it all—food, lodging and fuel. Click on Beautiful Downtown Chicken to learn more about our experience in this unique Alaskan town. It’s always nice to relax in a little bit of luxury after a long day of road travel. Alan and Donna found the perfect (and romantic) respite during their road trip through Alaska. 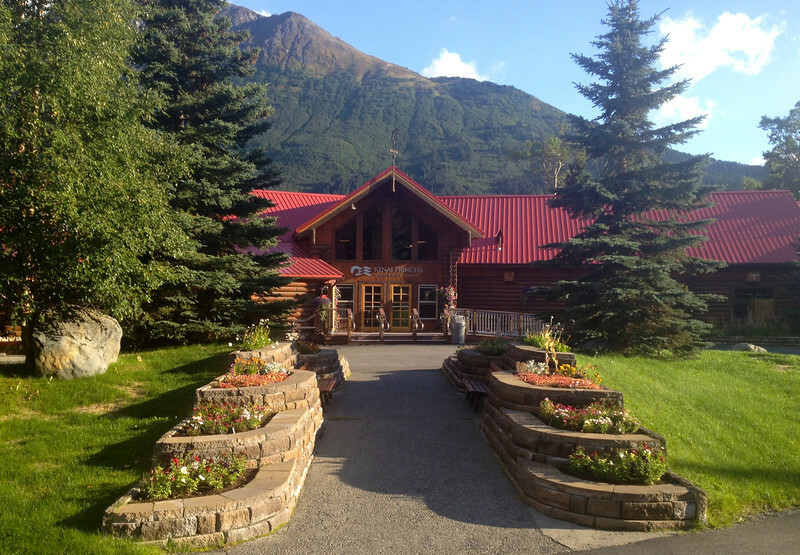 Click on: Luxury in Alaska at Kenai Princess Wilderness Lodge to read our review. While Alaska is known for its incredible wildlife such as black bears, reindeer and caribou, we were delighted to see most of Alaska’s stunning landscape to be covered with bright fireweed wherever we went. Read more by clicking on on Standing in the Fireweed. 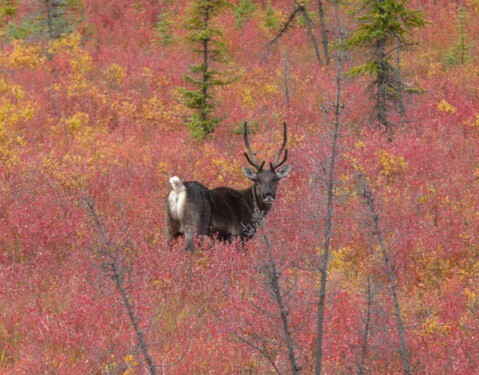 When Alan and I planned our Alaska Highway road trip, we weren’t thinking about fall color. But that’s exactly what we found in the first week of September while driving the Glenn Highway. 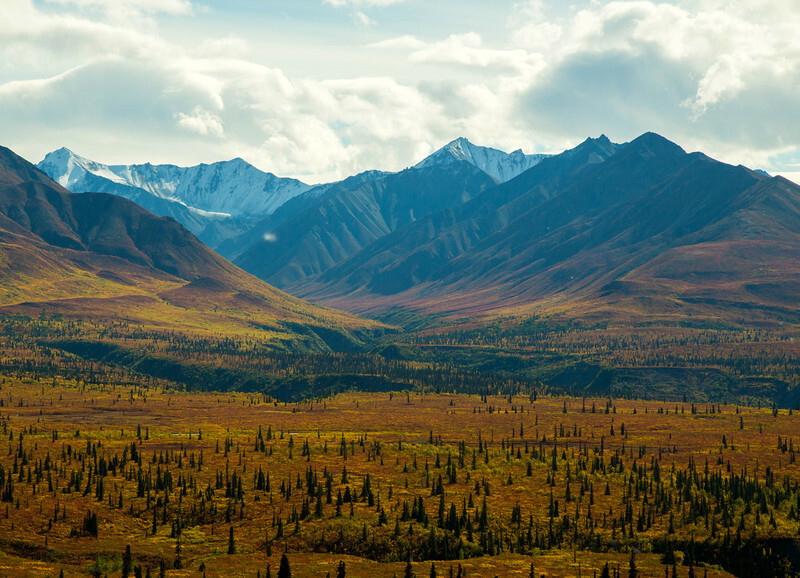 Read more by clicking on on Fall on the Glenn Highway.